SHREVEPORT, LA — Centenary’s Office of Admission invites prospective students and families to its first Open House of 2018 on Saturday, February 24 from 9:00 a.m. to 1:00 p.m. Open House visitors will learn about Centenary’s distinctive academic programs and explore the College’s beautiful 65-acre campus in Shreveport’s Highland neighborhood. 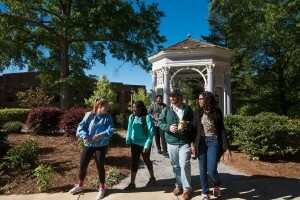 Registration for Centenary’s Spring Open House is available online at centenary.edu/openhouse. For more information, contact the Office of Admission at 800.234.4448 or 318.869.5131.